The 21st century is often dubbed as the 'century of computers'. Computer systems govern the functioning of the world in a manner that no machine has ever done before. Therefore, an education in the field of computers can go a long way for interested students. For the sake of better opportunities and exposure, many students choose to study in the United Kingdom. So, here is a list of the top 10 public universities based on the 'complete university guide 2018' where you can acquire a BSc/Beng (Hons) in computer networks & security or Computer systems to become network engineer or information security analysis, network administrator, system engineer, or IT manager. Close to Liverpool, Edge Hill University is situated in the town of Ormskirk. Students also have the option to study the Edge Hill University accredited degrees at centers located in other parts of the United Kingdom. The BSc (Hons) degree in Computing (Networking, Security, and Forensics) spans over a period of 3 years. For entry into the mentioned course, the applicant needs to have acquired 112 UCAS tariff points or BBC A level grades. With the employment rate being 93%, Edge Hill University is another great option for students interested in pursuing a degree in computer science in the United Kingdom. Out of the 240 courses offered at Glyndwr University, Wrexham, prospective students have the option to go for a Bsc. (Hons) degree in Computer Networks and Security. Entry into this course is restricted to applicants who score BBC A level grades. A 100% employment rate that leads to an average salary of £19,000 is an exciting incentive for applicants to choose to study at Glyndwr University, Wrexham. Located in the large industrial town of Middlesbrough, Teeside University offers a 3-year BSc. (Hons) course in Cybersecurity and Networks. Boasting an employment rate of 76%, graduates from Teeside University in the above-mentioned specialization go on to earn an average salary of £18,000. Compared to the national average salary earned by computer science graduates, it lags behind a solid £4,000. In order to be eligible for admission, the applicant must possess UCAS tariff points in the range of 96-112. Located in the heart of the United Kingdom, the University of Westminster is a great place to spend time acquiring some valuable education. Entry into the University of Westminster isn't everyone's cup of tea as they require 280-300 UCAS tariff points and A level grades in the relevant subject. For pursuing a BSc (Hons) degree in Computer Networks and Communications, Computer Network Security, or Computer Network Security with Foundation, the applicants require having acquired CCC A level grades or DDD A level grades. With the employment rate being 80%, job prospectives are fairly bright for graduates of University of Westminster, London. The campus benefits from its prime location which is merely an hour's train ride away from London. 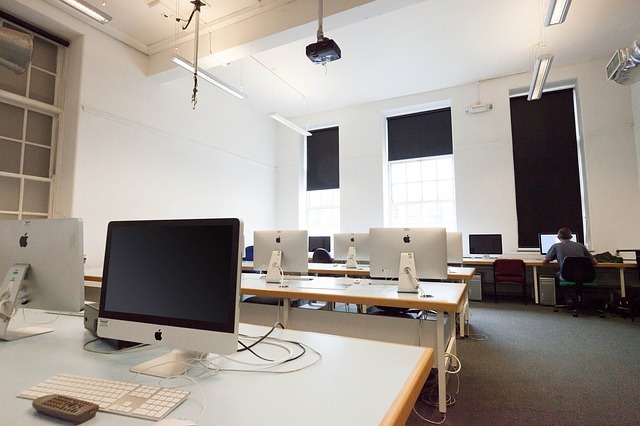 Located in the city center, the Southampton Solent University offers 11 specializations in Computer Communication and Networking. 3 year as well as 4-year BSc. degrees are available to choose from. Given that the employment rate of Southampton Solent University is sky high at 92%, the applicant requires CCC A level grades in order to seek admission into the Computer Science based courses. The riverside campus of the University of Salford is a well-equipped for creative learning in the modern times. Being minutes away from the great town of Manchester, the University of Salford is well-connected and promises a hassle-free stay for all its students. Admission into the BSc (Hons) course in Computer Communications and Networking requires interested applicants to have acquired UCAS tariff points in the range of 104-112. Other than a standard 3-year BSc (Hons) degree, the students have the option to go for a 4-year Sandwich degree as well. As quoted by KIS, the employment rate of graduates of this University stands at 70%. Situated in a beautiful coastal location, the University of Portsmouth has its roots tied to a much earlier period in history. Originally meant to be an institution for training men in engineering and skilled labor for the navy and city dockyards, the University of Portsmouth is a modern education hub offering a BSc. (Hons) degree in computer networks as well. The entry requirements being pretty straightforward, require the applicants to possess UCAS tariff points in the range of 88-112. An 80% employment rate makes studying at the University of Portsmouth worth the buck. Other than offering a standard 3-year BSc. (Hons) course in Computer Networking, the University of Bedfordshire offers a 4 years sandwich Bsc (Hons) course in Computer Networking with a practice year as well as a full-time 4-year BSc (Hons) course with one foundation year. Entry into the course with a foundation year requires the applicant to have scored C-B A level grades, whereas the requirements for admission into the standard BSc (Hons course), as well as the one with a practice year, are having acquired CCE-CCC A level grades. The standard BSc (Hons) course boasts a perfect employment rate of 100% . For computer science enthusiasts, the London Metropolitan University offers two courses to choose from. The first one is a BSc. (Hons) in Computer Networking and Cyber Security, and the other one being a BEng. (Hons) in Computer Networking. For entry into the BSc (Hons) course, the applicant needs to possess CCD A level grades whereas, for admission into the BEng (Hons) course, the applicant needs to have scored CCE A level grades. Both the courses boast an employment rate of 77%. Computer Science graduates from London Metropolitan University go on to make an average earning of £22,000 per annum. The educational institution is situated in Newington, London, and derives its name from being based in the London Borough of Southwark, which is close-by to the south bank of Thames. Interested students have the option of pursuing a 3-year BEng (Hons) in Computer Systems and Networks. With the average employment rate being 85%, the future is most likely secure for BEng (Hons) graduates from this university. Computer Science graduates from this university go on to earn a salary of £16,000. For entry into the BEng (Hons) course, the applicant requires having scored BBB A level grades.